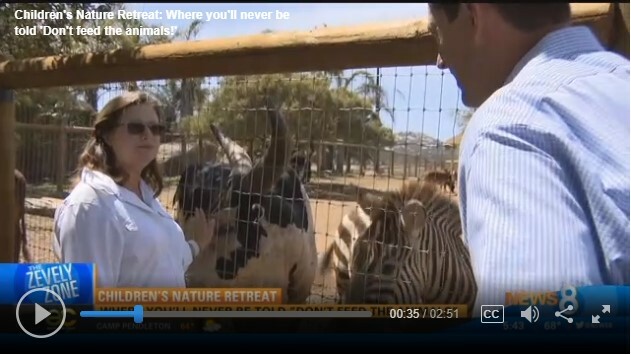 SAN DIEGO (NEWS 8) — From critters to camels, a new sanctuary in Alpine wants to invite children to get up close and personal with animals. In Wednesday’s Zevely Zone, Jeff takes a family friendly on an affordable safari right here in San Diego County. A family of four can spend the day at the Children’s Nature Retreat for $80. If you’d like meet the animals or attend their upcoming fundraiser on May 12, click here.